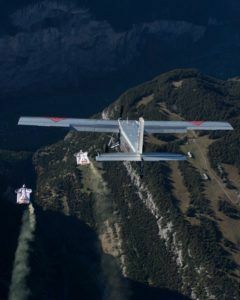 As part of their project A Door in the Sky, which they had spent several months training for by completing more than 100 test flights in Empuriabrava in Spain, the duo B.A.S.E jumped from the top of the Jungfrau, one of Europe’s highest mountains, and flew into a Pilatus Porter light aircraft in mid-air. Now that’s a different way to catch a flight. How different was the training for this stunt? How does it feel to enter into a plane at high speed? GoPro Athlete, Neil Amonson, travels to Italy to find solitude in his craft. 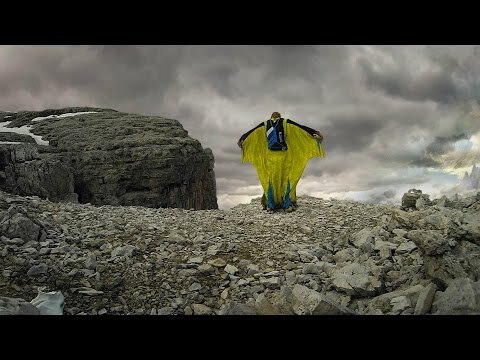 Amonson says, “To actually experience all the things I’m feeling, I have to do it alone.” Get a look into the incredible experience Neil goes through as he sets out to accomplish this solo BASE jump. I spent my first four years out of high school in the Air Force Special Forces. I deployed to both Afghanistan and Iraq and finished my enlistment as a decorated combat veteran. My next move was from the east coast where I was raised out to Utah where I could more easily access the things that give me joy, spending time outside and in the air. Two years after moving to Utah I received my Bachelors of Science in Professional Aeronautics, as well as being an air traffic controller and commercial pilot. 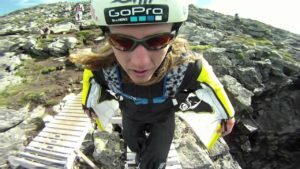 Since then I have been working for GoPro assisting with marketing, content creation, and product testing. Along the way I have aligned myself with a few other companies who have similiar values to myself and we work together to help make their company great. I have also worked for Google as a contractor working with such projects as Google Glass and Project Loon. I enjoy being challenged, being part of a team, and working in space that allows a lot of creativity and freedom. I take pride in being able to tell a good story though images, weather that be still photos or video. I’m on here looking to expand my network and find other companies who value integrity, hard work, and creativity. Let’s make magic happen. 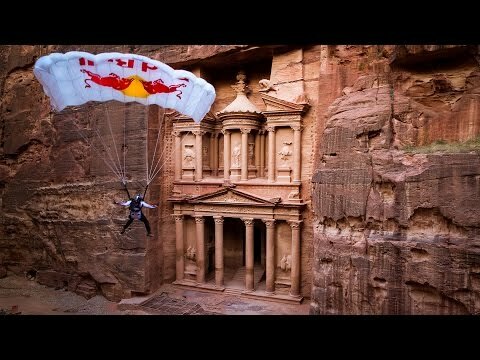 Watch Miles Daisher BASE jump from the top of the Treasury in Petra, Jordan. Miles BASE jumped from the top of the Treasury in the depth of the Lost City of Petra and landed directly in front of it, in less than 15 seconds, going 20 miles per hour, in a canyon that is 100 feet wide. The challenge was in the short length and altitude of the jump and the incredibly small and tight space that left Miles with little room to be able to escape the walls of the limestone mountains. 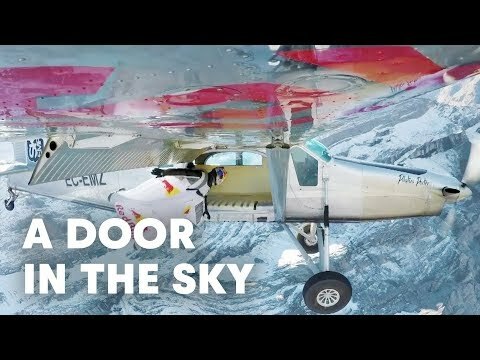 Miles Daisher is an accomplished canopy pilot with more than 7,200 skydives and 4,000 BASE jumps, which is more known BASE jumps than anyone on the planet. 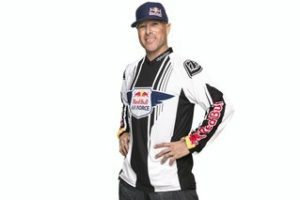 In 2005, he set a BASE jumping record by launching 57-times in a single day, climbing a total of nearly 29,000 vertical feet and performed a record setting 737 BASE jumps in one year. Miles also created two new sports skyayking and rope swing BASE jumps. Twin Falls Idaho home of the I.B. Perrine Bridge has been his home for the past decade where he coaches Miles D’s BASE camp, trains for stunts and jumps for fun. “It’s a magical thing when you fly in the sky” says Miles Daisher. Petra originally known to the Nabataeans as Raqmu, is a historical and archaeological city in southern Jordan. The city is famous for its rock-cut architecture and water conduit system. Another name for Petra is the Rose City due to the color of the stone out of which it is carved. Petra is one of the New7Wonders of the World. Established possibly as early as 312 BC as the capital city of the Arab Nabataeans, it is a symbol of Jordan, as well as Jordan’s most-visited tourist attraction. The Nabataeans were nomadic Arabs who took advantage of Petra’s proximity to regional trade routes to establish it as a major trading hub. The Nabataeans are also known for their great ability in constructing efficient water-collecting methods in the barren deserts and their talent in carving structures into solid rocks. Petra lies on the slope of Jebel al-Madhbah (identified by some as the biblical Mount Hor) in a basin among the mountains which form the eastern flank of Arabah (Wadi Araba), the large valley running from the Dead Sea to the Gulf of Aqaba. It has been a UNESCO World Heritage Site since 1985. The site remained unknown to the Western world until 1812, when it was introduced by Swiss explorer Johann Ludwig Burckhardt. It was described as “a rose-red city half as old as time” in a Newdigate Prize-winning poem by John William Burgon. UNESCO has described it as “one of the most precious cultural properties of man’s cultural heritage”. Petra was named amongst the New7Wonders of the World in 2007 and was also chosen by the Smithsonian Magazine as one of the “28 Places to See Before You Die”. 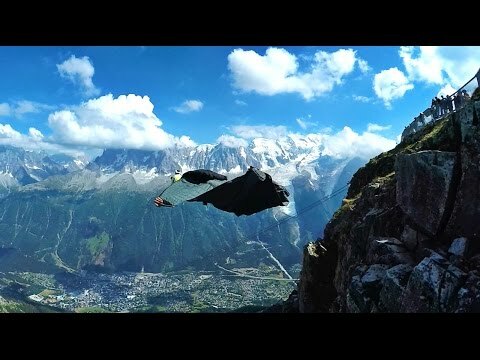 Wingsuiting done in France. Most of the footage was filmed in or around Brevent – Chamonix. 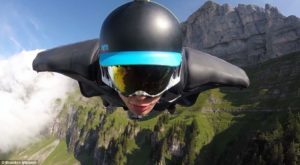 Brandon Mikesell began his journey to become a professional wingsuit flyer when he was 23 years old. He dedicates everyday to jumping off of cliffs, buildings, helicopters, and planes. Some might call him crazy, but he says he is just like any other regular guy. Brandon has worked with companies like GoPro, Red Bull Air Force, Garmin, Bear Grylls, and many more to release his awesome adventures. He continues to search for long flying lines down different mountain terrain around the world. However, most recently he decided to take his flights into the urban environment and fly between city skyscrapers and buildings. Chamonix is a commune in the Haute-Savoie département in the Auvergne-Rhône-Alpes region in south-eastern France. It was the site of the first Winter Olympics in 1924. To the south side, the situation is different depending on the country. Italy considers that the border passes through the top. France considers that the boundary runs along the rocky Tournette under the summit cap, placing it entirely in French territory. The south side was in France, assigned to the commune of Saint-Gervais-les-Bains sharing the summit with its neighbor Chamonix. It is this situation “for France,” which is found on the French IGN maps. The Chamonix commune is well known and loved by skiers and mountain enthusiasts of all types, and via the cable car lift to the Aiguille du Midi it is possible to access the world-famous off-piste skirun of the Vallée Blanche. With an area of 245 km2, Chamonix is the fourth largest commune in mainland France. Chamonix is a winter sports resort town. As the highest European mountain west of Russia, Mont Blanc attracts mountain climbers. There is a cable car up to the 3,842 m Aiguille du Midi. Constructed in 1955, it was then the highest cable car in the world and remains the highest vertical ascent cable car in the world.